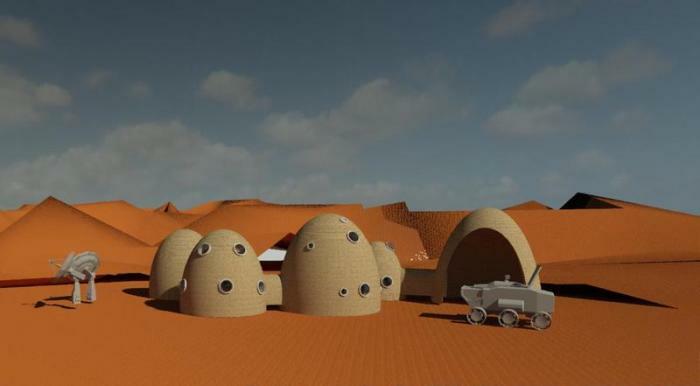 April 6, 2019 – When the first humans settle on Mars, what if their homes were not built but printed? That’s the question being posed in the latest NASA Centennial Challenge, pitting teams from industry and academia to design and 3D-print habitats using materials that can be found on the Martian surface. The Mines-ICON team placed fourth in the most recent round of the NASA competition, earning $23,000 in February. 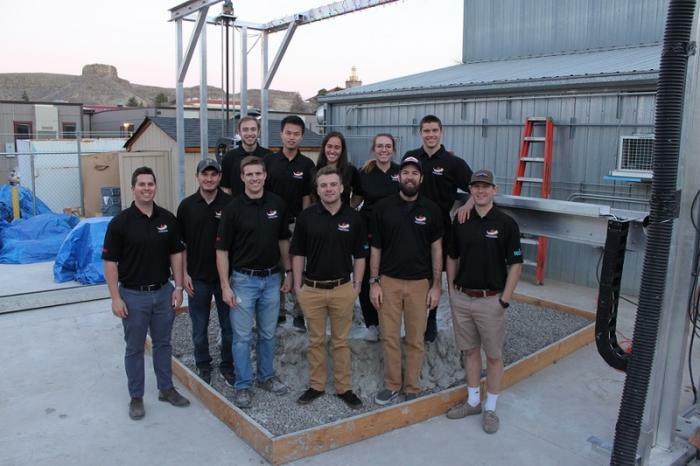 If chosen for the finals April 29-May 4, the Mines team will travel to Caterpillar’s headquarters in Peoria, Illinois, where they will compete head-to-head against companies and universities to print one-third-scale models of their habitat designs. Finding the exact right consistency for that magnesium-oxide concrete has been one of the students’ biggest challenges, McHargue said. Too thick and it gums up the printer. Too thin and it runs everywhere and won’t stack. Refining the printer’s water delivery system and delivery of the dry mix has helped improve their control. McHargue’s group is the second cohort of Capstone Design students to work on the habitat project – they overlapped last semester with the other team, whose members graduated in December 2018. Rounding out this semester’s team are mechanical engineering students Nicole Stackhouse, Ben English, Geoffrey Keating, Bryce Bartolomeo and Garon Kirschbaum. Past team members were Kevin Shaw, Austin Muck, Zhao Pan, Elizabeth Goss and David Ademe. The Mines habitat is a two-level dome, with the astronauts’ bedrooms located on the second floor to separate them from the work spaces below. “One of the things that’s unique about our design is we included a little garden area – it wasn’t meant for growing food like in The Martian with potatoes, but it’s a wellness area, an area for the astronauts to sit and have some greenery,” McHargue said. The partnership with ICON came about through the Mines Space Resources Program – CEO Jason Ballard was a student in Dreyer’s Space Resources Fundamentals class last spring. To supplement the generous support from ICON, the team hopes to raise $5,000 through a crowdfunding campaign on Gold Mine – Colorado School of Mines’ official crowdfunding platform – that ends next week. Donations will cover travel costs to send the team and its printer to the final stage of the challenge. The crowdfunding campaign runs through April 7. To donate, go to https://www.givecampus.com/nu6khg.